This book traces the movement from mutualism to individualism in the context of American family life. Throughout American history, families survived or even flourished during colonization, the Revolution, slavery, the industrial revolution, immigration, and economic upheaval because reliance on others was patently necessary. But in the past century, unprecedented prosperity both freed Americans from mutual dependence and created a culture devoted to the pursuit of pleasure and individual fulfillment. This shift from obligation to freedom has turned the maintenance of durable, rewarding families into a countercultural act, one that requires a conscious decision to qualify the American commitment to freedom. Peterson del Mar, David. 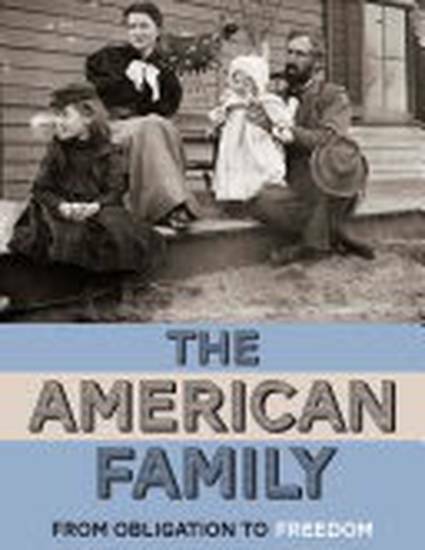 The American Family: From Obligation to Freedom, 2011, Palgrave Macmillan.